Just in time for Mother’s Day, this four-sided swivel bar necklace is the perfect gift for her to wear the names or initials of those who matter most. 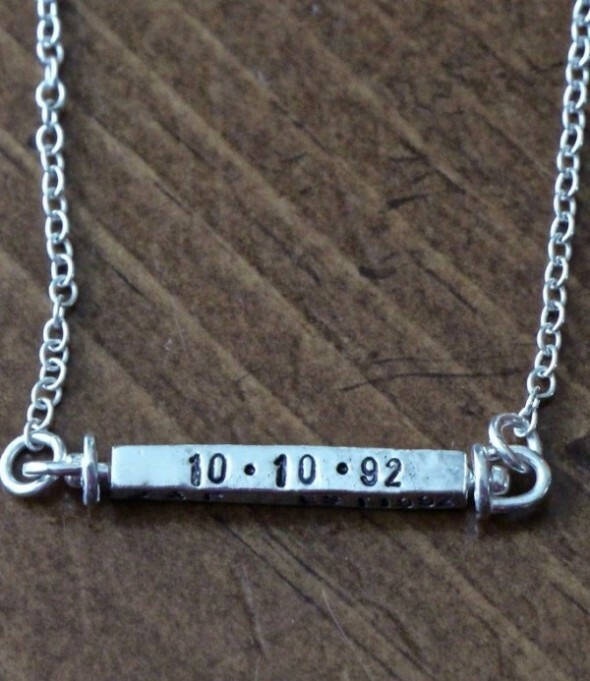 Personalize for a mom of one with her child’s name, date of birth and inspirational words. 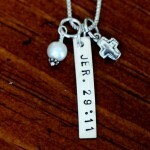 Or for a mom with multiple children, customize with each child’s name to represent everyone in her family. The sterling silver necklace features a four sided horizontal bar pendant with swivel links to allow each side a turn facing forward. 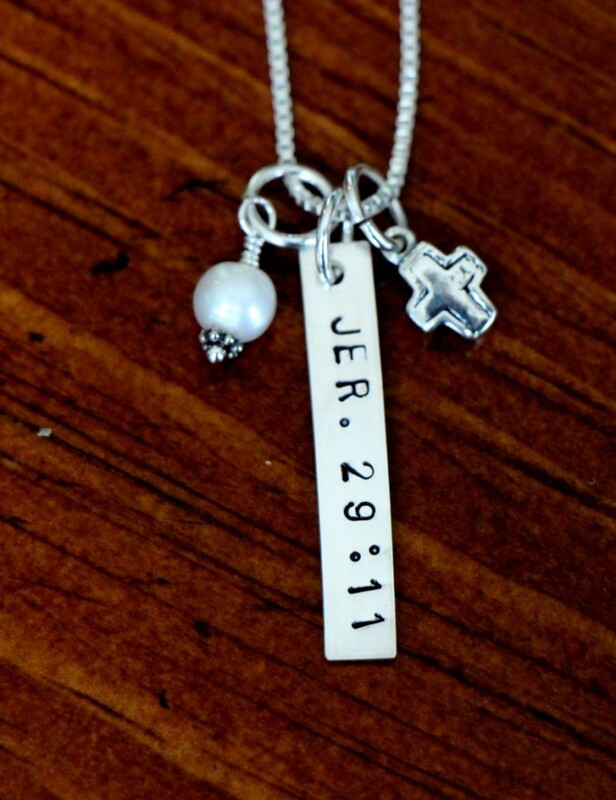 The charm measures 1.45″ and is hand stamped with up to 12 characters on each side. The chain is available in lengths 16″, 18″, or 20″ with a lobster clasp. SHOP K&S Impression’s New Arrivals Today. April 1st is National Autism Awareness Day. Help us honor those touched by autism and take 15% our Autism Awareness jewelry collection. 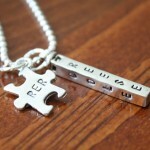 SHOP K&S Impression’s Autism Awareness Jewelry Collection today. 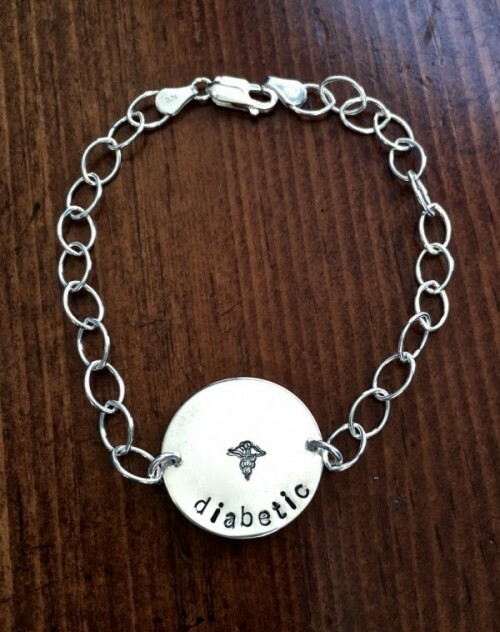 Stay safe in style with our new Medical ID Alert Bracelet. This medical identification alert bracelet can be personalized with your medical condition or any known allergies and emergency contact information, so first responders can access your medical information at a glance. The sterling silver bracelet features a circle charm that measures 7/8″ and is hand stamped with your personal information. The medical sign is stamped in center of charm. SHOP K&S Impression’s Bracelet Collection Today. 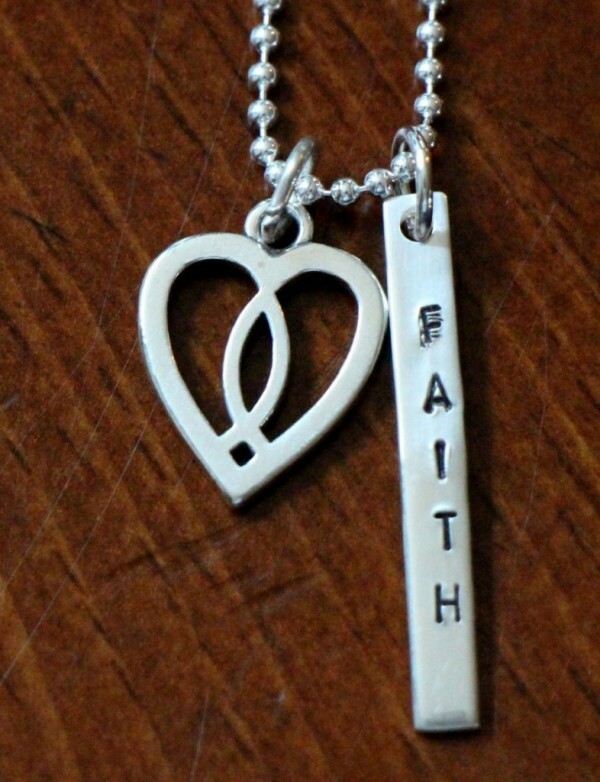 Save 15% today on Christian jewelry gifts to share your religious faith. Shop our assortment of sterling silver necklaces, bracelets, rings and earrings accented with a cross or birthstone. 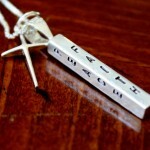 Each personalized jewelry gift is hand stamped with a name, initial, special date or bible verse. Free shipping on all domestic orders over $40. 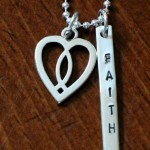 SHOP K&S Impression’s Religious Jewelry Collection today. Last Day! 15% off sitewide + free shipping! Mother’s Day is just around the corner. 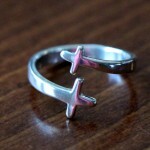 Shop today and save 15% on stacking name rings, mother’s necklaces and much more. 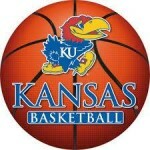 Cheer on your favorite basketball team! Take advantage of our 15% storewide sale and save today on basketball jewelry gifts for yourself or favorite basketball fan. Shop our assortment of sterling silver basketball rings, charm necklaces: “Shoot like a girl” or personalize a necklace with your name, team and inspirational words. 15% OFF SITE-WIDE + FREE SHIPPING! 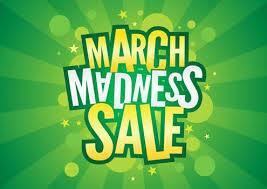 Celebrate March Madness and save 15% off hand stamped, sterling silver jewelry gifts at K&S Impressions. Mother’s Day is just around the corner, so shop now for personalized rings, family name necklaces, charm bracelets and much more. Happy Easter Free Shipping on all orders! Give your loved one something special to wear Easter morning and receive free shipping on all hand stamped, sterling silver jewelry gifts through Wednesday, March 23. 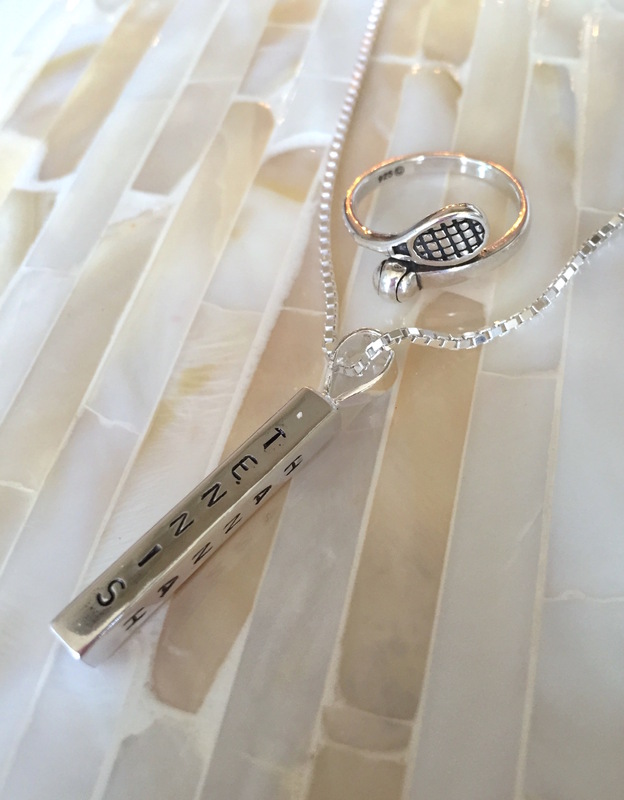 We recently had the opportunity to customize a tennis jewelry gift for a tennis player to showcase her passion for her favorite sport. We hope the personalized necklace and tennis ring will become a keepsake gift that reminds her of the memories and accomplishments she has made on the court. 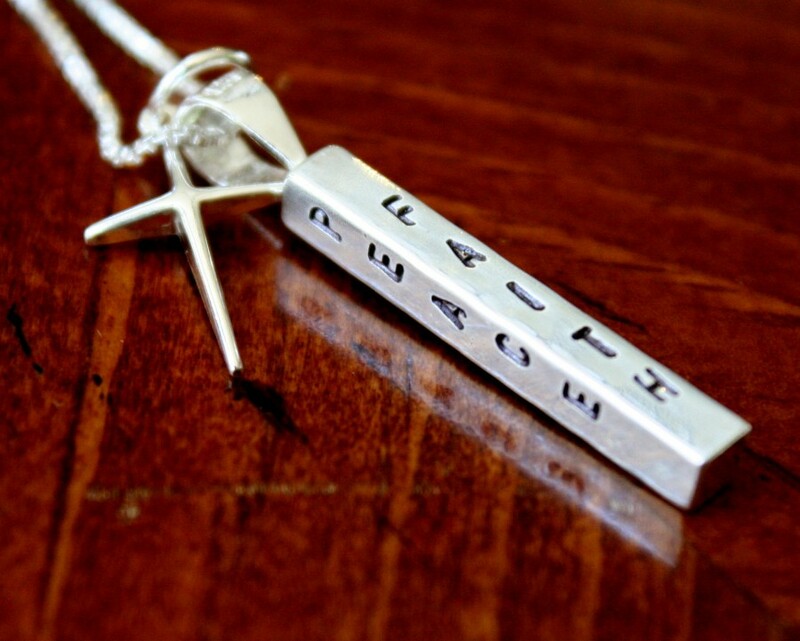 She personalized the sterling silver necklace with tennis, her name and two meaningful words. The hand stamped pendant measures 28mm and allows up to eight letters vertically or ten letters horizontally on your choice of chain. 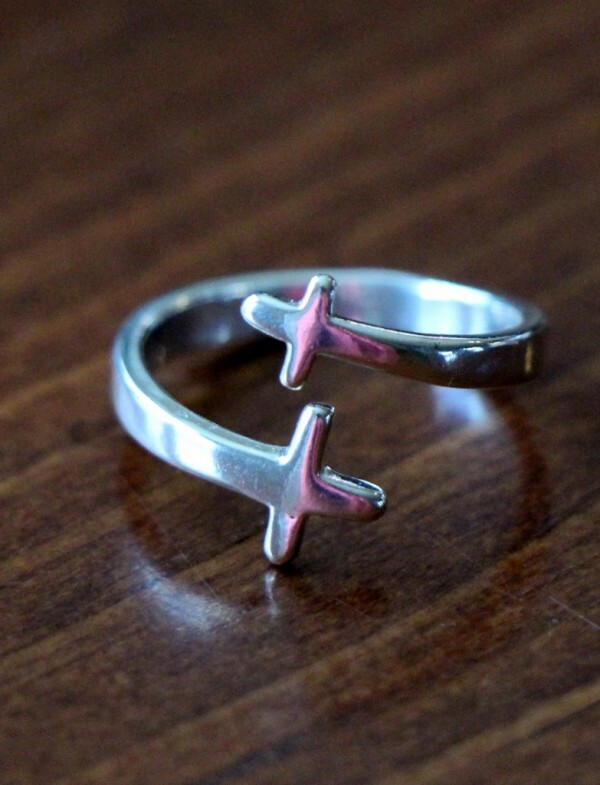 The sterling ring is accented with a tennis racket and ball. The adjustable band can be sized to a 5, 6, 7, 8, 9 or 10. Need a unique gift for your girls basketball team or coach? Whether you are looking for a senior night recognition gift or end of year banquet gift to celebrate a great season, a sterling silver basketball ring or personalized necklace will remind them of all the great memories they made together as a team. 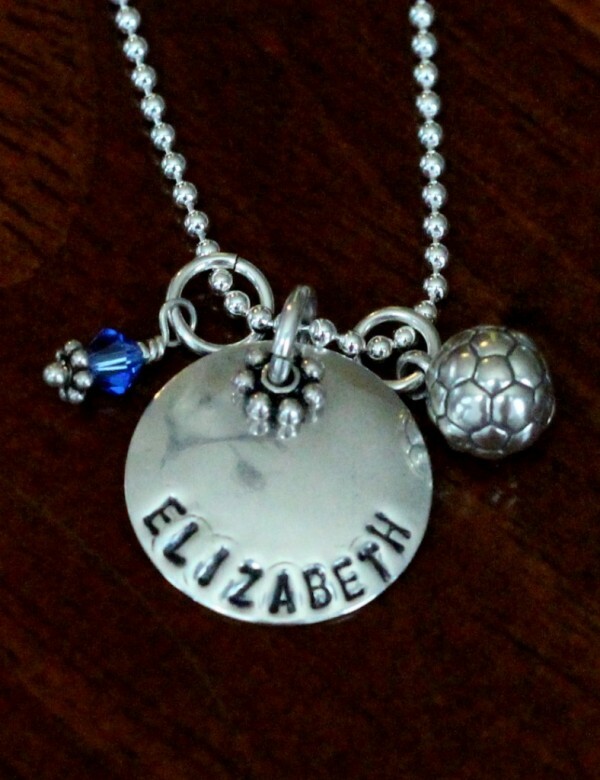 Athlete’s Personalized Sports Charm Necklace – Customize with a basketball charm and your choice of birthstone to create a personalized necklace for your favorite basketball player. The circle charm is personalized and hand stamped with a name or team up to 10 letters. Charms hang on your choice of chain. 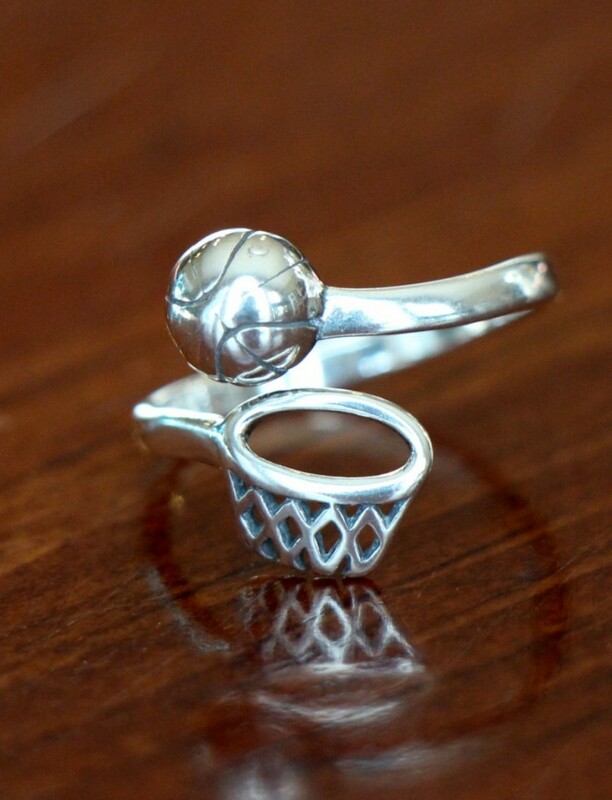 Basketball Ring – sterling silver ring features an adjustable band accented with a basketball and basketball hoop.